This image is an engraving done be Louis Delaporte which we've added a bit of color and dimension to. 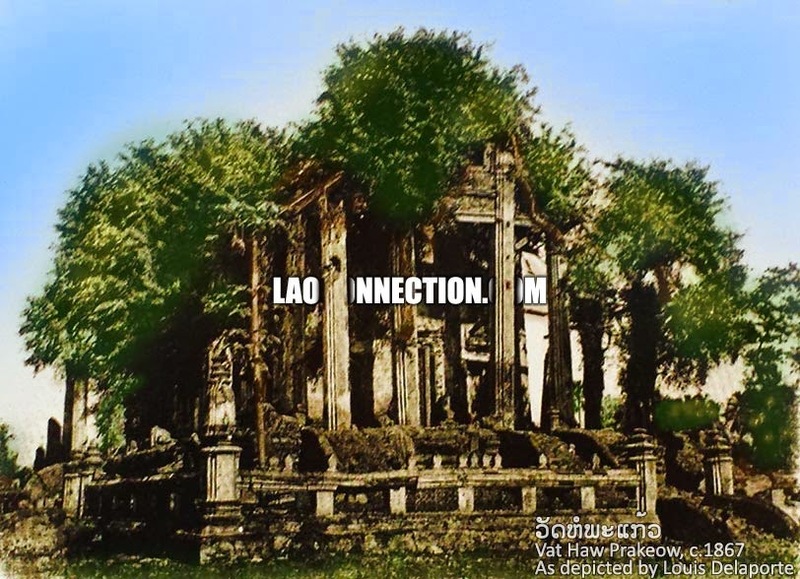 These were the ruins after the Siamese had destroyed the temple and depopulated the city after the Lao King Anouvong attempted to rebel against Thai suzerainty in 1826-1828. It is also from this former temple that the famous Jade Buddha (aka Phra Keow) was removed from. It is this same Buddha that now sits in Bangkok, Thailand.